Eldercare & The Workplace: A Professional and Personal Conversation! 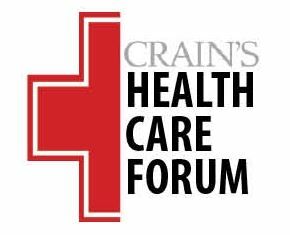 On Thursday, September 18th, our Visiting Angels’ office is proud to co-sponsor a Health Care Forum sponsored by Crain’s Cleveland Business. The forum will take place in downtown Cleveland at the new Cleveland Convention Center from 7:00AM to 1:00PM. Preceded by networking and breakfast, the morning will begin at 7:30AM with a morning keynote address. Not only is our Visiting Angels office a conference sponsor, we are also participating in a breakout panel titled “Your employees, their eldercare concerns, your bottom line: What’s it costing you?” Our panel will be moderated by Crain’s Cleveland Business Publisher John Campanelli. I encourage you to attend and participate in this 90-minute panel that begins at 8:45AM. An overview of the panels issues we will be discussed; the panel participants are below. • How can you calculate your company’s risk? • What resources are available to help your employees handle their caregiving duties? • How can businesses build support systems for employees who have significant caregiving duties? Eldercare and the Workplace is an important topic. So much so, that our Visiting Angels office works with Caring Concierge, an independent company that specializes in the employer aspect of eldercare and how it impacts business. As a Certified Senior Advisor, I provide content and subject matter awareness to Visiting Angels’ Cleveland office and to Caring Concierge. We hope you will be able to attend this informative event. We look forward to speaking with you. For all of the information regarding the forum, please access the following hypertext link, Crain’s Health Care Forum. Note: At no cost to employers, Caring Concierge provides bundled proven solutions to employee caregiving challenges that otherwise result in significant lost-time hours on the job.